The most devastating attacks against the Jews of medieval Christian Europe took place during the riots that erupted, in 1391 and 1392, in the lands of Castile and Aragon. For ten horrific months, hundreds if not thousands of Jews were killed, numerous Jewish institutions destroyed, and many Jews forcibly converted to Christianity. Benjamin Gampel explores why the famed convivencia of medieval Iberian society - in which Christians, Muslims and Jews seemingly lived together in relative harmony - was conspicuously absent. Using extensive archival evidence, this critical volume explores the social, religious, political, and economic tensions at play in each affected town. The relationships, biographies and personal dispositions of the royal family are explored to understand why monarchic authority failed to protect the Jews during these violent months. 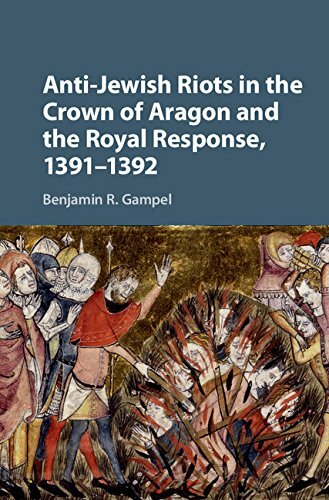 Gampel's extensive study is essential for scholars and graduate students of medieval Iberian and Jewish history.